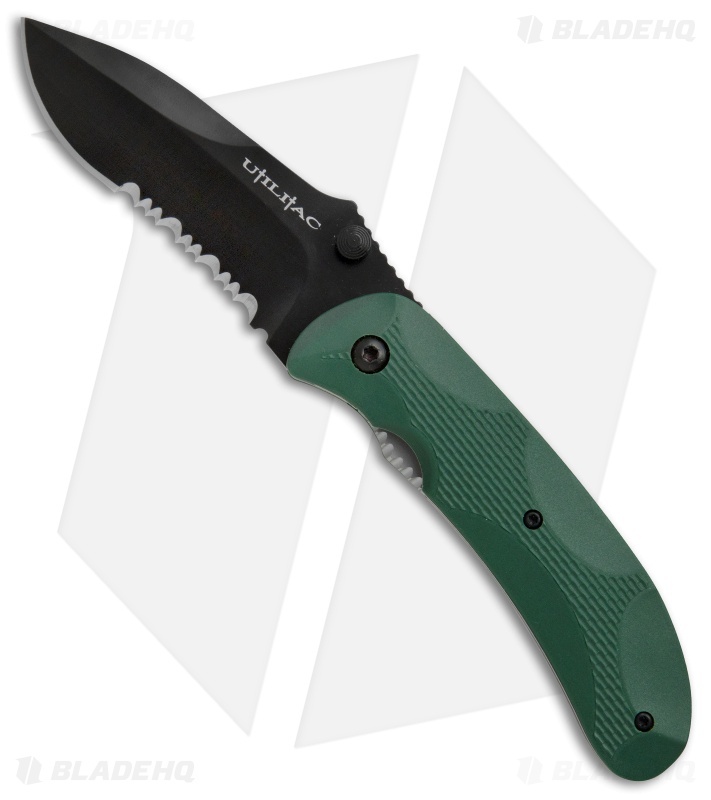 This vintage Utilitac model sports a green zytel handle and a black finished blade with a partially serrated edge. The Ontario Utilitac offers a classic Joe Pardue design with a stainless steel blade, liner lock construction, and green textured Zytel scales. 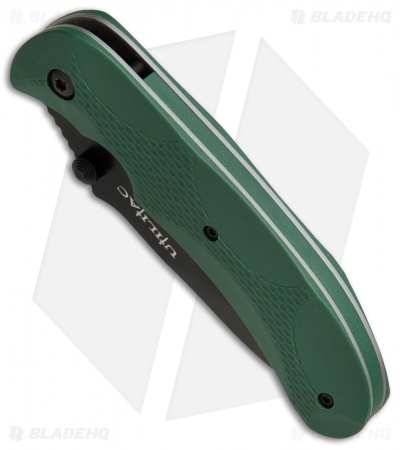 This model comes with a black blade finish, dual thumb studs, and a hollow grind with a partially serrated edge. 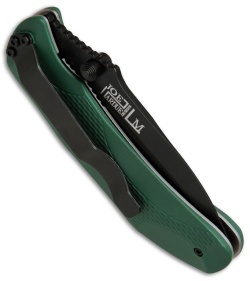 The blade deployment is smooth and offers no resistance when opening or closing the blade. The Utilitac is a great knife for its value!